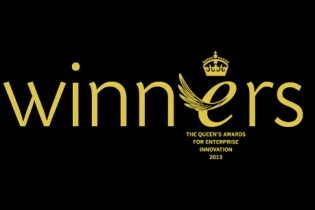 We are delighted to announce that we’ve won a Queen’s Award for Enterprise in the category for Innovation. This accolade is specifically for Continuous Innovation, measured over the last decade and is a fantastic recognition of all the hard work that goes on behind the scenes at Stage One, paying homage to the wide ranging expertise of our people. The Awards are made annually by HM The Queen, and are only given for the highest levels of excellence demonstrated in each category. Our on-going work developing products such as our Cablenet systems, materials development on projects such as the Chanel Mobile Art Container and one-off engineering challenges such as the London 2012 Olympic Cauldron all contributed to our winning entry. Approximately 150 Queen’s Awards have been announced this year for outstanding business achievement in the fields of International Trade, Innovation and Sustainable development. Our directors are not exactly known for their sartorial style, but they will be dusting off their best suits in anticipation of receiving their invitations to a special reception at Buckingham Palace.